Join us for a new series exploring the future just above us. 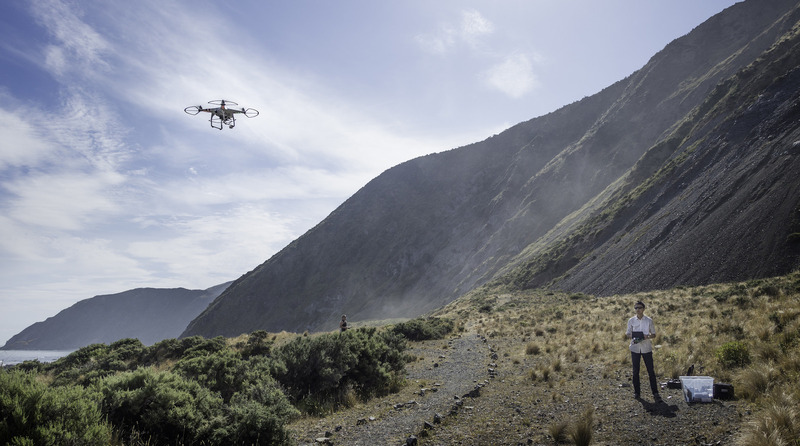 Created and curated by swissnex in New York and swissnex Boston, AERIAL FUTURES: THE DRONE FRONTIER will imagine the changes coming to our lives through the increasing adoption and implementation of professional drone technology. Drones hover on the horizon of a rapidly developing technological landscape, allowing for new and imaginative applications of AI, flight technology, 3D imaging, and other burgeoning fields. These machines have an increasingly large presence in our anticipated future, bringing both incredible opportunities and new challenges. Switzerland, in particular, has embraced drones and created an ecosystem for the technology to develop. Together with leading experts from Switzerland and all over the world, we’ll address the changes these machines and their associated technologies will bring to our global society. WATCH: We brought major players at the intersection of humanitarian aid, technology, and big data from around the globe to address some of the biggest questions around humanitarian drone applications. The subjects- drones and beyond. Drones are making use of the latest emerging developments in aerial engineering and design, allowing for safer operations in turbulent, highly populated, or otherwise sensitive areas. Many engineers are focused on making drone flight quieter, enabling researchers to capture detailed aural data from the unexplored world. From bio-inspired drones that replicate the flight patterns of bats and bees to powerful “disaster drones”, capable of stable flight in conditions too dangerous for human piloting, drones are getting lighter, faster, stronger, and more efficient. With drone delivery systems approved for testing, our lives are about to be directly affected by drone payload abilities. 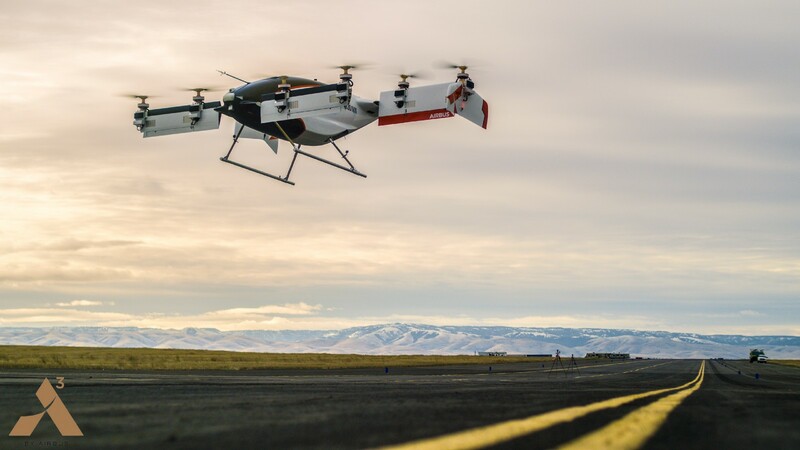 The possibilities reach far beyond your packages – already in the works are drone human transportation systems, drone-powered construction, and even first response mechanisms- with drones carrying time-sensitive medical supplies to patients in need. The drone payload makes the application possibilities for this technology virtually endless. Our future will likely see more drones carrying agricultural supplies, land surveillance and mapping systems, toxin detectors, and more. Could drones replace bees in our ecosystem as populations dwindle? Could they make it possible to bring infrastructure and utilities to previously inaccessible areas? Will drones have a significant impact on the entertainment industry and live performance? 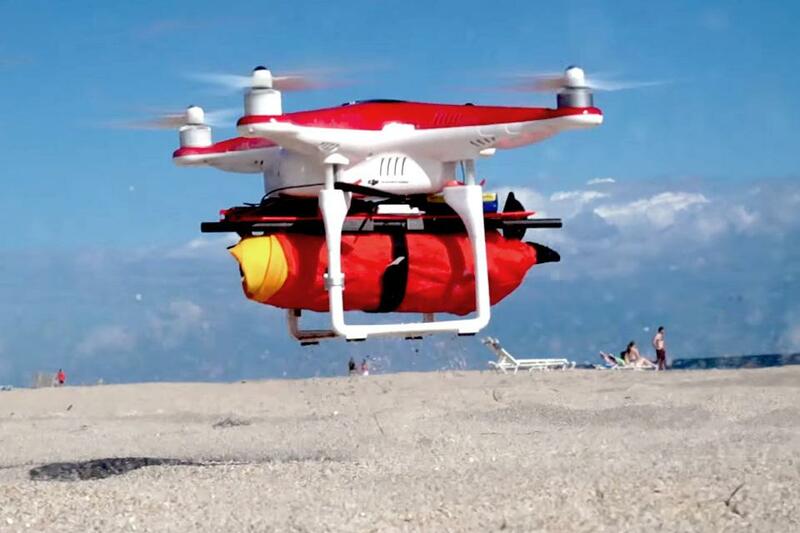 Will drones revolutionize what is possible in the humanitarian sector? As technology evolves, these are just a few of the imaginative applications coming out of the drone industry. As with all technological juggernauts, drones bring with them concerns over policy and regulation to protect personal and public interest. The excitement of autonomous drones also elicits caution and skepticism, forcing us to confront the ability of these machines to make decisions and respect our privacy. Public pressure is mounting for air traffic controllers, technology manufacturers, and policymakers to come together to anticipate the guidelines that must be developed to avoid misuse of drones and appropriately place liability for the technology. Stay tuned for news about our upcoming presence at events across the US and beyond! We’re planning explorations of the Drone Frontier at AAAS in Washington D.C., Hubweek in Boston, and CES in Las Vegas! Subscribe to our newsletter to be the first to receive announcements of upcoming AERIAL FUTURES: THE DRONE FRONTIER events. If you’re interested in partnering with us for future events, please contact Jonas at swissnexboston dot org. African countries are poised to join the Drone Frontier, with Rwanda leading the way in deploying country-wide commercial drone regulations, attracting investment and talent to advance the field. Others, like Tanzania, are following suit. In Zanzibar, authorities launched the Zanzibar Mapping Initiative (ZMI), which has successfully deployed small-scale drones to collect the data necessary to improve the planning process and is mapping the whole island with a precision 25 times superior to that of Google Maps. Projects like the ZMI are well-suited to be replicated elsewhere in Africa and develop the local capacity for the use of advanced robotics technologies and meet the increasing data processing needs. Opening with a keynote, Dr. Patrick Meier (WeRobotics) provided the crowd with a frank, first-hand overview of the humanitarian drone space since Typhoon Haiyan — a Category 5 Cyclone that devastated the Philippines in 2013. His talk focused on the most pressing current and future challenges vis-a-vis the responsible, coordinated and effective use of drones in humanitarian action. These include regulations, codes of conduct, complex emergencies, localization, turf wars, artificial intelligence and more. Patrick spoke directly from his first-hand operational experience in coordinating drone teams after major disasters and from the first-hand experience of WeRobotics and their global network Flying Labs. Following Patrick’s keynote, he was joined for a panel discussion with researcher Faine Greenwood (Harvard Humanitarian Initiative) and Jake Porway (founder of DataKind), moderated by Lily Bui, a PhD student in MIT’s Department of Urban Studies and Planning. This gathering of thoughtleaders from the humanitarian and tech sectors focused on the “UAV Code of Conduct”. The development of protocols and guidelines to inform the safe, responsible and effective use of drones in disaster zones, started in earnest in 2014 through the work of the Humanitarian UAV Network. swissnex Boston, WeRobotics, and MIT Solve curated a conversation yesterday on the latest developments around the Code of Conduct and specific guidelines, particularly those on conflict sensitivity and the draft guidelines around the use of humanitarian cargo drones. Click here for a full summary of the discussion and the next steps developed towards the Code of Conduct (credit: our partner WeRobotics). We convened innovators from across the globe to discuss Aerial Artificial Intelligence in order to take stock of the very latest developments, opportunities and challenges in the application of AI, machine learning and computer vision to automatically analyze aerial imagery with respect to features of direct interest to the international aid and development community. Read the summary from our partner WeRobotics here. Artists from the Zurich-based Verity Studios presented the advances they are making in bringing drone swarm technology to the world of art and performance. The panel from the world’s first Drone Costume Designer, Léa Pereyre, and Verity Studios Creative Director Bill Keays, surprised the packed audience with dazzling videos of drone swarms. As described in an op-ed published about the event in swissinfo, this was a totally new application of drone technology for most in the crowd and it left many of them amazed at the capabilities of the studio. Click here to see what we (and our friends) are sharing about the #DroneFrontier and let us know what you think! New model legislation would drastically increase the amount of legally necessary permission needed from individuals before capturing photos and videos of public events with drones. Read about our event in Cambridge, where we partnered with WeRobotics and MIT Solve to bring together experts from Switzerland and the US to address some of the biggest questions surrounding humanitarian drone applications. Following our discussion on May 15, Faine Greenwood, a featured speaker at our Humanitarian Drones Experts Meetings, writes her thoughts on drone conduct and visual identifiers for foreignpolicy.com. The purpose of this meeting was to advance the effective use of this emerging technology in humanitarian efforts actively, responsibly and effectively. This document summarizes the presentations and main discussion items of this meeting. US Transportation Secretary Elaine Chao announced 10 test projects that will bring the unmanned aircraft into the skies. That means faster approval for experiments that could have drones sending medical supplies like blood and defibrillators, inspecting industrial sites from the air and even transporting people by air.